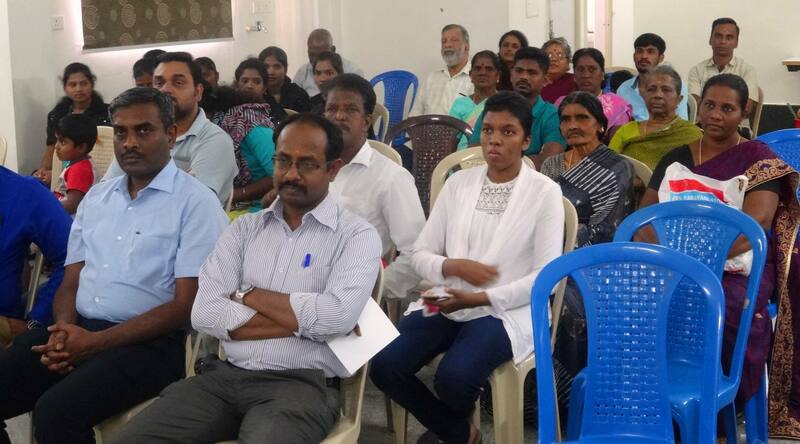 4th Feb 2018, Annai Arul Hospital observed World Cancer Day & Cancer survivors treated at AAH were invited for a Patient Educational Program. Patients and their attenders, Surgical Oncologist Dr. P. Saravanan, Radiation Oncologist Dr. Balasundaram, Medical Oncologist Dr. Durai and Medical Director Dr.S. Joseph Jensingh Babu attended the program. The motive of the program was to honour the patients and their attenders and make them feel good as they have broken the myth that Cancer is a Death Sentence. Patient and attenders shared their success testimony during their journey fighting cancer. Consultants talk encouraged the survivors to spread the word of awareness to the society as the lack of trust that cancer is curable could be changed by the survivors’ testimony. The importance of cancer awareness and early detection was also discussed. Cultural activities was conducted to encourage the survivors’ along with an appreciation letter and momentum encouraging them for being Bold, Confident & Determined while fighting cancer and standing tall as Cancer Warriors. The program was started with the prayer song which was done by AAH staff. Dr.Joseph Jensingh Babu Medical Director of AAH, Dr.Saravanan Perisamy Surgical Oncologist, Dr.Durai Malavan Medical Oncologist and Dr.Balasundram Radiation Oncologist are invited for the program to boost the souls with their motivational talks. The talk was about to motivate the patients and their families to fight against cancer together and also to break the myth of cancer as it’s a life killing disease. Cancer survivors had shared their life testimony and the ways their overcome the cancer. Followed by that, cultural events were been presented by AAH Family to make the cancer warriors happier. Finally Appreciation letter quoted with cancer warriors’ bold, confident and determination for fighting against cancer was given to them as a small token of gratitude.